I said YES! I do need some inspiration! 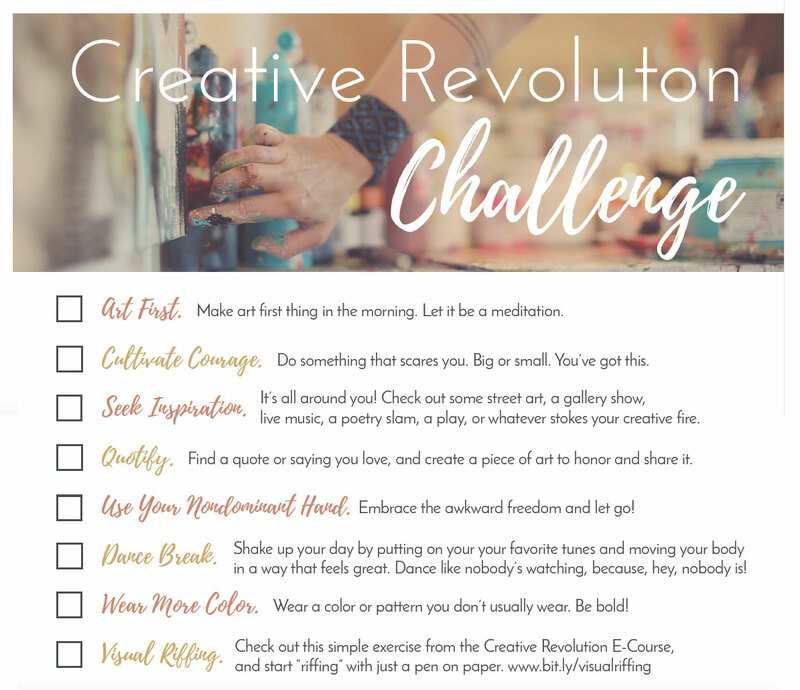 So I headed on over to Flora’s website and downloaded her free Creative Revolution Challenge for September. I’ll be doing the challenge starting September 1st. If you do too, use the hashtag #creativerevolutionchallenge when you make a post. It will be an interesting challenge as I think I need a kick in the pants regarding creative activities as of late. We came up to Washington in July and got down to work. You may not know it, but we have a real estate investment business and we needed to do some work on some of the properties. So that’s what we’ve been doing. Then we sold our house in Maple Falls which is great! So now I’m working on other parts of the business and I also work online for a company called LoveToKnow.com as an image specialist. So I haven’t spent as much time as I’ve wanted to on my art. I find Flora Bowley to be such an inspiring teacher! I’ve taken her online class “The Bloom True e-Course” and found it to be full of inspiration and learning lessons! It’s not just an e-Course it’s a creative experience! Hence, I highly recommend it! It’s for anyone wanting to loosen up their art style and start painting more intuitively as well as live a life of creative inspiration. So that is why I’m excited to do Flora’s Challenge. I know it will be chalk full of inspiration just like all the other things Flora offers! So can’t wait to start! Thanks Flora!